Dr. Ronald E. Sneed earned his BS in 1959 and PhD in 1971 from the Department of Biological and Agricultural Engineering at NC State University. As an undergraduate student, Sneed was involved in numerous activities and served in leadership positions within the Inter-Dormitory Council, American Society of Agricultural Engineers, College Union, Army ROTC Alpha Zeta, Blue Key Honor Society and more. In 1958 he received the John F. Miller Award, the highest award given in University Recreation for his work as athletic director for Tucker Dormitory. Dr. Sneed began his career with John Deere, Inc in Monroe, GA, until he entered the Army in April 1960. After six months of Army Reserve service at Fort Benning, GA and Fort Jackson, SC, he returned to join the Agricultural Engineering Department as an Extension Specialist. In 1969-70, he was granted a one year study leave with the United States Army Corps of Engineers in Wilmington, NC. Sneed then returned to the Agricultural Engineering Department as an Extension Specialist and Instructor. Following the completion of the PhD, he was promoted to Extension Assistant Professor. Sneed’s main emphasis was irrigation, water supply and quality and water management, with later emphasis on land application of wastewater. His work included field studies on irrigation response of corn, cotton and peanuts and later field studies on irrigation response of fruits, vegetables and nursery crops. All of this work was cooperative with faculty in Agricultural Engineering, Crop Science, Soil Science, Horticultural Science, Economics and Business, Forestry and Animal Science. Sneed worked with Dr. Robert Sowell to explore the efficiency of water utilization by crops. From this work, two computer based models were developed, one to project crop water requirement and another to determine optimal water use from a specific quantity of available water. Sneed also worked with Drs. George Kriz and Tony Shih on a land forming project to improve surface drainage in a number of counties in eastern North Carolina. While Sneed’s main responsibility was extension, he also taught in the Biological and Agricultural Engineering(BAE)Technology program and summer programs for extension personal. He also worked with Drs. Frank Humenik and James Barker and others on land application of wastewater. He also directed a large nitrate in groundwater project where over 10,000 wells in 29 counties were tested in 18 months. Another very limited program involved testing groundwater for pesticide contamination. In 1985, Sneed was honored by the College of Agriculture and Life Sciences with an Outstanding Extension Service Award. 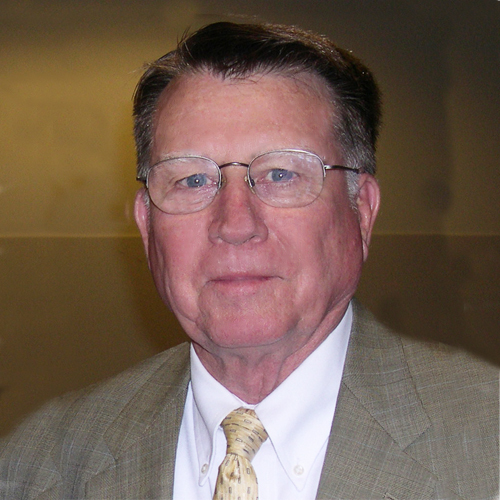 Dr. Sneed has been involved in the irrigation industry for more than 50 years, 32 in the NC State BAE Department and the remainder as a consultant. He is a lifetime technical member of the Irrigation Association(IA) where he serves or has served on a number of committees, on the Certification Board for over 20 years and in 1981 was awarded the Man of the Year Award. He was one of the authors of Irrigation, Fifth Edition and was very involved in Irrigation, Sixth Edition, co-authoring four chapters. He served on the Irrigation Foundation Board of Trustees from 2007-13. He helped start the North Carolina Irrigation Society, Inc and in 1992, the Society established the Ronald E. Sneed North Carolina Irrigation Society, Inc Scholarship Endowment which provides an annual scholarship to a BAE student. He also was involved in helping form what is now the Carolinas Irrigation Association(CIA) and in 2011 the CIA established the Dr. Ronald E. Sneed Excellence in Irrigation Award to honor dedicated service to the irrigation industry. The first award was presented to Sneed. Sneed is active in the American Society Of Agricultural and Biological Engineers(ASABE), serving on a number of committees in the Soil and Water Division, including chairing the Soil and Water Division. In 1991, Sneed received the ASABE G. B. Gunlogson Countyside Engineering Award. He was elected a Fellow in ASABE in 1992 and in 2009 received the ASABE Dale F. Heermann Sprinkler Irrigation Award. In 2008 Sneed was appointed to the newly created North Carolina Irrigation Contractors Licensing Board and served as its chair until November 2013. While Sneed was active in the education and engineering profession, he was also active in the military. Commissioned as a 2LT through Army ROTC at NC State University, he served in the Army Reserve for almost 36 years, retiring in March 1995 as a Major General USA. His last assignment was Commanding General, 108th Division(Tng), Charlotte, NC with units of the Division in North Carolina, South Carolina, Georgia and Florida. Noteworthy: He was the first president of the NC Irrigation Society and established an endowed scholarship for the department.